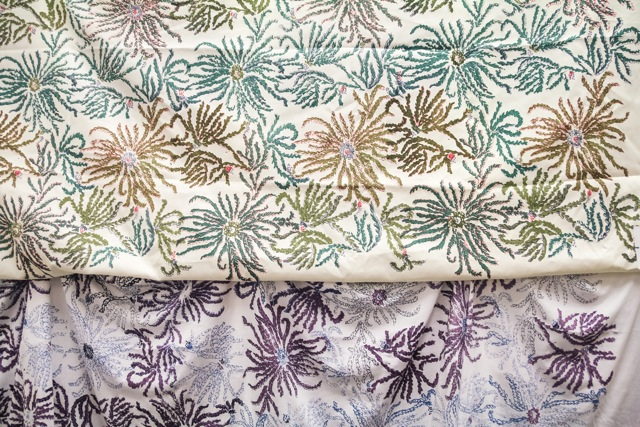 SRISA works with Fuji studios and Professor Knipple to provide students with a thorough experience with the different methods for creating textile designs. 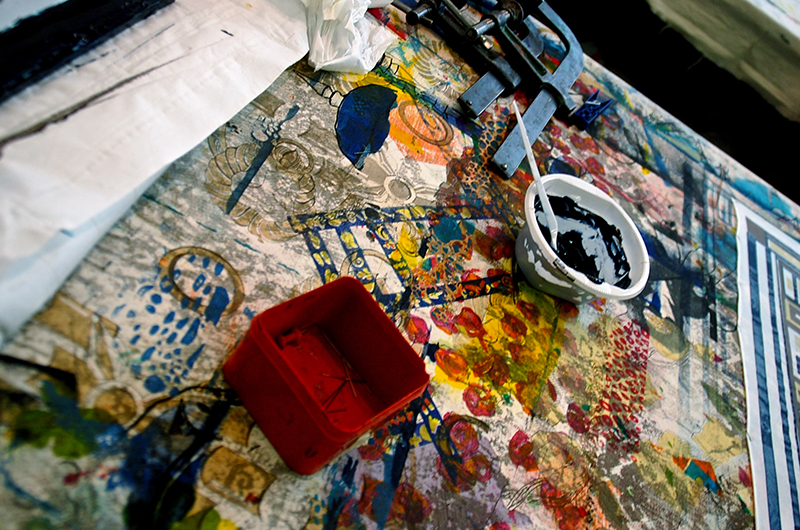 Our courses focus primarily on Batik and SilkScreen processes with a focus on color, design, and process. The word “batik” (pronounced “ba-teek”) is an Indonesian word meaning “wax writing.” This process involves brushing or applying melted beeswax to fabric. The waxed fabric is then submerged in wet dyes. The waxed areas resist the dyes creating designs in the fabric. These fabrics are recognized for their crackle or veining that appears in the design. 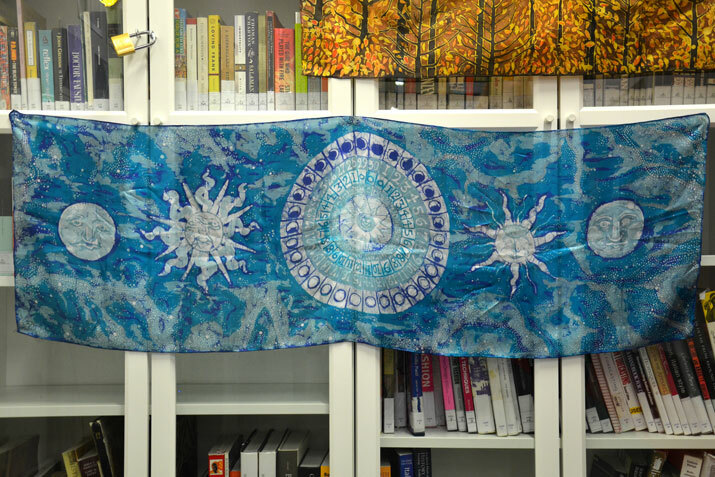 This course covers the dyeing techniques of wax resist, silk painting and the tied and shaped resist processes of Shibori. 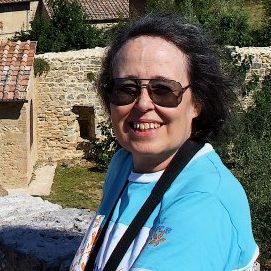 Projects are designed to teach ways of controlling the image making process through solving color and design problems with the manipulation of the resists and dye bath sequences. 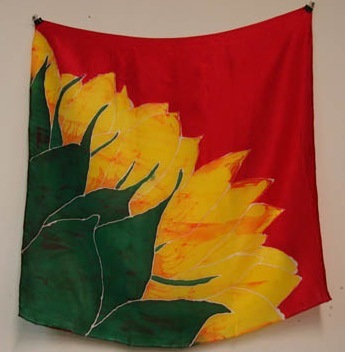 The course also includes emphasis on dyes and fiber techniques for the finishing and embellishment of fabrics such as quilting and sewing. 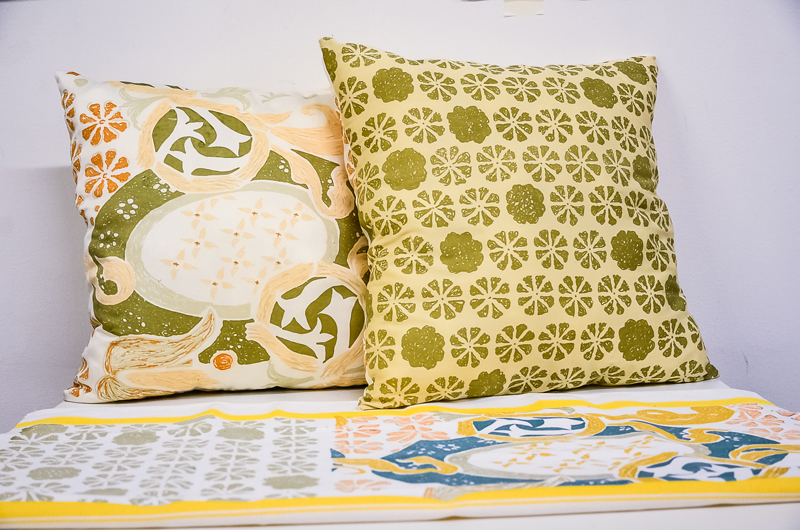 Silkscreen-textile printing and design is an introduction to the various techniques and processes of silkscreen printing as well as textile design course. Silkscreen techniques cover paper and lacquer cut stencils, direct block out and an emphasis on photographic emulsion techniques using both hand drawn acetates and photographs with lithfilm or diffusion transfer film and photocopy collage. Instruction is given in procedures and equipment use, darkroom procedures, color theory and ink mixing and registration techniques for printing on fabrics. 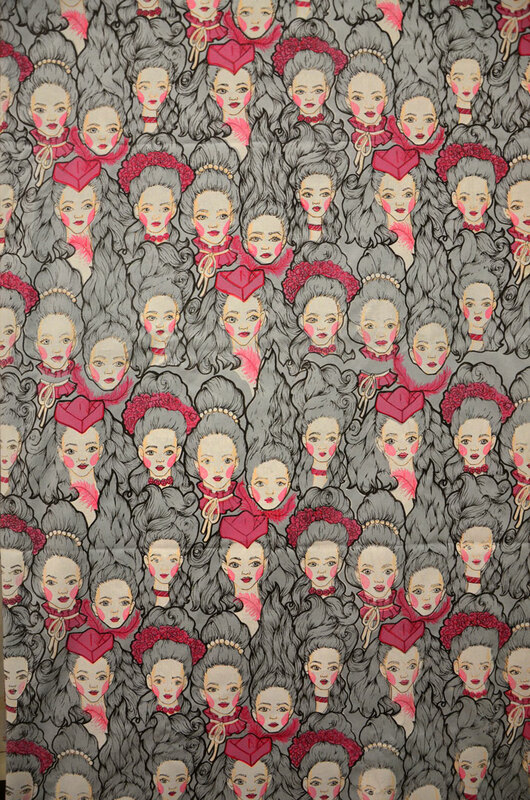 Assignments are oriented toward textile surface design problems covering various systems for design repetition. Weekly homework assignments are given on different design themes all put into repetition and, from these, the designs for actual printing will be selected. A notebook of design resource is kept.